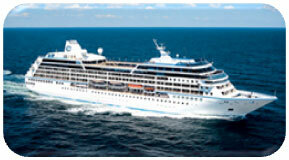 The one where Azamara offered more maiden port calls than ever! Azamara will visit more maiden ports than ever in 2014 with the announcement of their deployments for twin boutique ships Azamara Journey and Azamara Quest. 72 new voyages are on offer from the line ranging from four- to 17-nights designed especially for passengers wishing to butterfly their cruises with no repeat port visits. Taking in 240 destinations in 66 countries, the ships will visit Europe, the Far East, Central and South America, the Caribbean and the Western U.S. coast with maiden calls including; UNESCO World Geopark Langkawi, Malaysia; Maura, Sultanate of Brunei; and Vila do Abraao, Brazil. “One hundred percent of Azamara’s 2014 voyages feature late night and overnight stays in port to offer guests the opportunity to enjoy the nightlife of some of the world’s most vibrant places,” Azamara Club Cruises president and CEO Larry Pimentel said.